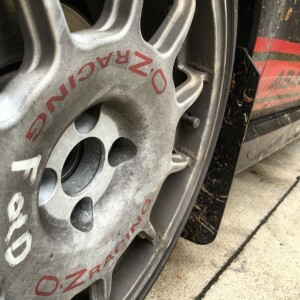 Our event is all about the cars, people and driving amazing back roads. FIAT on the Dragon has two events per year, spring and fall. 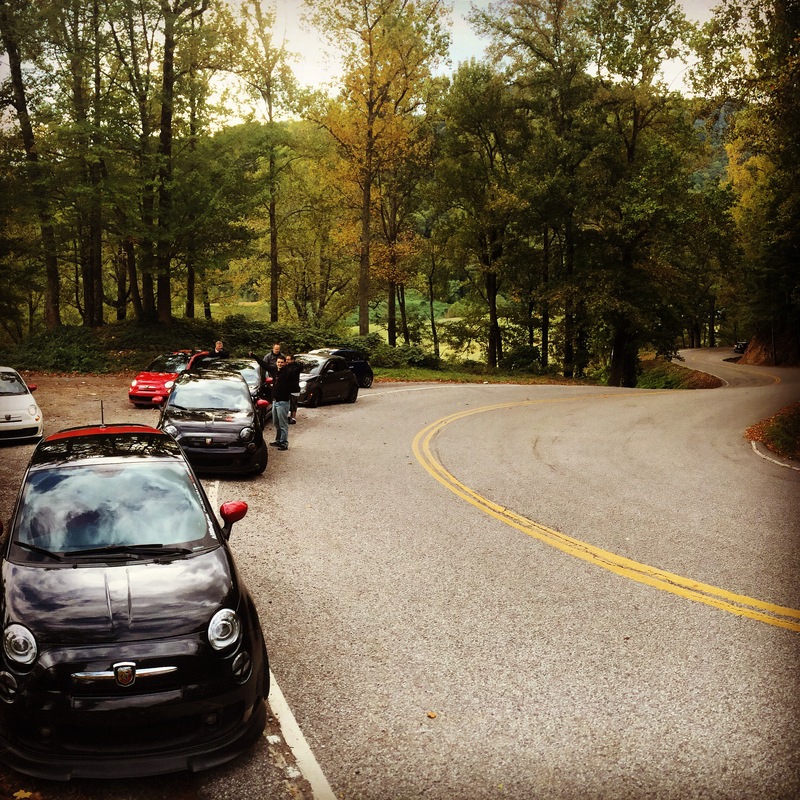 FIAT enthusiasts from all over, gather for a weekend of driving amazing back roads. We welcome any and all FIAT and Alfa Romeo owners new and old but this event focuses on the new generation cars. 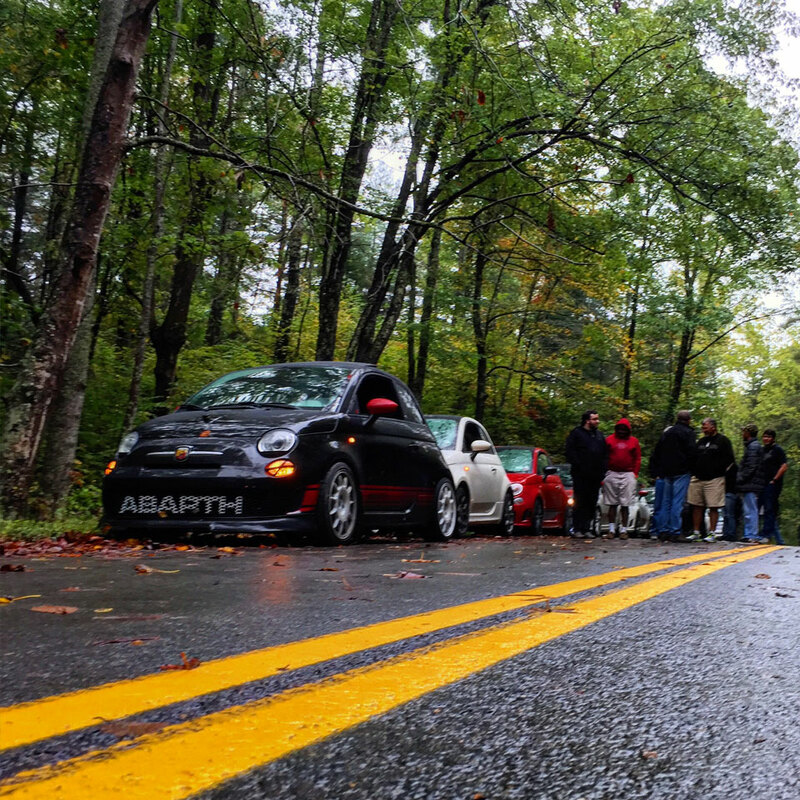 The main focus of our Friday and Saturday Drives are The Tail of the Dragon, Devil’s Triangle and other area roads that offer challenging driving or amazing scenery. These locations and back roads are perfect for such an event with unparalleled roads to explore. The spring FIAT on the Dragon is our big meet with over 200 FIAT and Alfa Romeos in attendance. The entire weekend is orchestrated to offer an unforgettable weekend with friends and cars. The home base for the spring event is the Tally Ho Inn, Townsend, TN. The fall FIAT on the Dragon is smaller, usually limited to about 25-30 cars. This event focuses more on a more spontaneous, unplugged nature. Sometimes our group may change plans on the fly and explore. The only thing planned for the fall event is where we will be staying for the night. Our home base for the weekend is the quaint Talley Ho Inn. Located near Great Smoky Mountains National Park, Talley Ho Inn is the oldest establishment among Townsend hotels, motels, cabins and resorts. We offer a broad selection of accommodations to fit any need and budget. For couples’ getaways, we recommend romantic Premier and Deluxe rooms. Family retreats will enjoy spacious cottages and picnic areas. Some travelers will find comfort and value in our Original Eight rooms. There are other lodging options nearby that will allow you to stay close to all of the action.